Indonesia Stock Exchange (Indonesian: Bursa Efek Indonesia) is a stock exchange based in Jakarta, Indonesia. It was previously known as Jakarta Stock Exchange (JSX) before its name changed in 2007 after merging with Surabaya Stock Exchange (SSX). As end of 2012, the Indonesia Stock Exchange had 462 listed companies with a combined market capitalisation of $426.78 billion. Market In&Out suggests most comprehensive and powerful Indonesia Stock Screener tool for finding outperforming indonesia stocks. 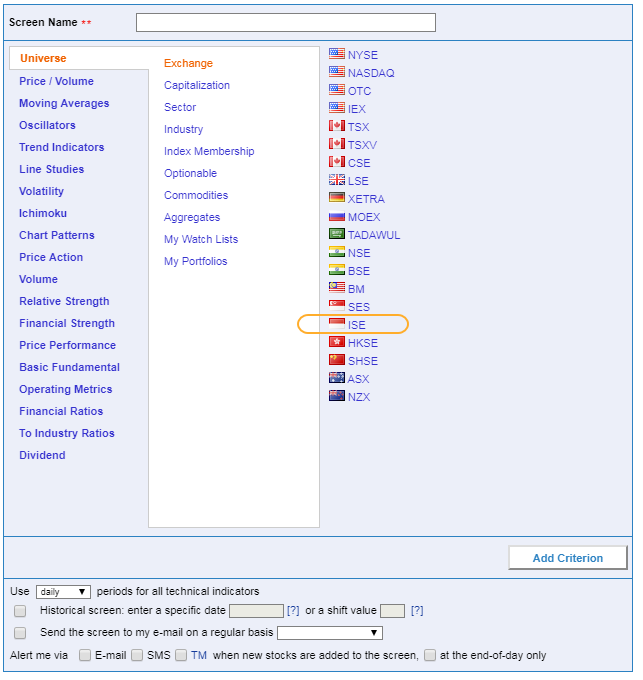 Indonesia Stock Screener provides wide variety of technical and fundamental criteria to screen stocks by. The main advantage over competitor Indonesia Stock Screeners is that it also allows to backtest developed stock screening strategy. Backtester Tool allows discovering how your screening strategy would be successful if you used it in the past. It is possible to specify criteria for closing a position, stop loss, take profit, etc. Then the trading simulator performs all trades in test mode based on the criteria and position maintenance rules, and as a result provides detailed report with key metrics included like profit, maximum drawdown, profit factor, mathematical expectation of win and so on. Having this result enables a trader for further optimizing the trading strategy. In addition to the stock screening core functionality Market In&Out also suggests Trade Alert feature. Specify any stock and technical signal or price value and then you only need to wait for the e-mail alert. Try other useful features: Stock Chart, Stock Correlation, Forex Correlation.